The human contribution to a diamond’s beauty is a well-executed cut. 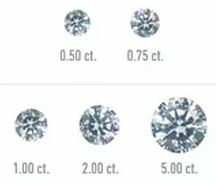 Below are the four catagories used to grade the quality of a diamond. Clarity grades assess the number, size, relief & position of inclusions & blemishes. Clarity is graded by letters. E.g. FL (flawless) is the best and at the other end I3 is the worst. The less colour, the higher the grade. Even the slightest hint of colour can make a dramatic difference in value. D is colourless. Grades E and F are also generally quite colourless. 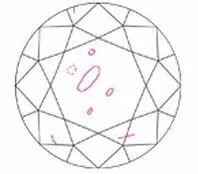 Cut (proportions, symmetry and polish) is a measure of how a diamond’s facets interact with light. Cuts are generally described as “Excellent”, ‘Very Good, “Good”, “Fair” or “Poor”. Diamonds are sold by their carat weight. 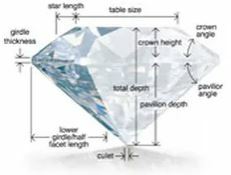 One carat is equal to 0.20 grams. Only one in 1,000 diamonds weighs more than a carat. High clarity & colour grade diamonds are rarely high carat. Found in just one place on earth, Tanzanite is a relatively recent discovery. This blue variety of zoisite was named for Tanzania, the country where it was found, by Tiffany & Co. Because crystals show different colours depending on viewing direction, cutters can choose bluish purple or the more favored pure blue or violet blue hue depending on how much weight they want to retain from the rough stone. ​If you click on the button below, it will take you through to the Gemological Institute Of America (GIA) Encyclopedia. Gemstones Come In A Range of Different Appearances. 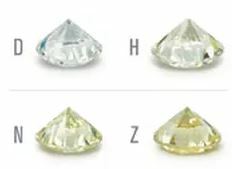 With a variety of Gemstones in many different colours available to manufacture some of the most remarkable jewellery, a grading system similar to that of diamonds is used to select the better quality stones by Clarity, Colour, Cut and Carat Weight. For further knowledge on individual Gems, please click on the button below to go through to the Gemological Institute Of America (GIA) Encyclopedia. Perhaps the best-loved gems of all time, pearls—natural and cultured—occur in a wide variety of colours. Pearls with high luster have sharp bright reflections on the surface. The number of blemishes on a pearl’s surface is evaluated to judge quality. Spherical pearls are the most valued but symmetrical drops are also sought. White is most classic, but appreciation has grown for more unusual colours.